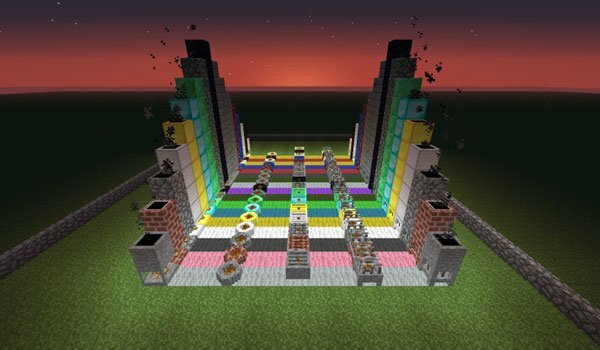 Want to make barbecues Minecraft? Fireplace 1.7.2 and 1.6.2 allows us to use new blocks to decorate our house with a fire and their respective fireplace, and see the how the smoke leaves up like particules. You can make stone fireplaces, iron and even diamond, and variants. In addition to this aesthetic block, the mod adds four more variants, including a grill where you can cook up to four things at once. How to install Fireplace Mod for Minecraft 1.7.2 and 1.6.2? Download Grim3212 Core (only for 1.7.2 version). Paste the “Grim3212 Core” downloaded file into .minecraft / mods (only for 1.7.2 version).